Featured Artist on Artsy Forager blog. A blog dedicated to "Digging around the web for exceptional artwork, imaginative design and inspiration for cultivating an artsy life"
Featured as one of the Greatest hits to the Collage Scrap exchange presented by Papirmass. Featured as one of the 10 submissions to the Collage Scrap exchange presented by Brown Paper Bag. 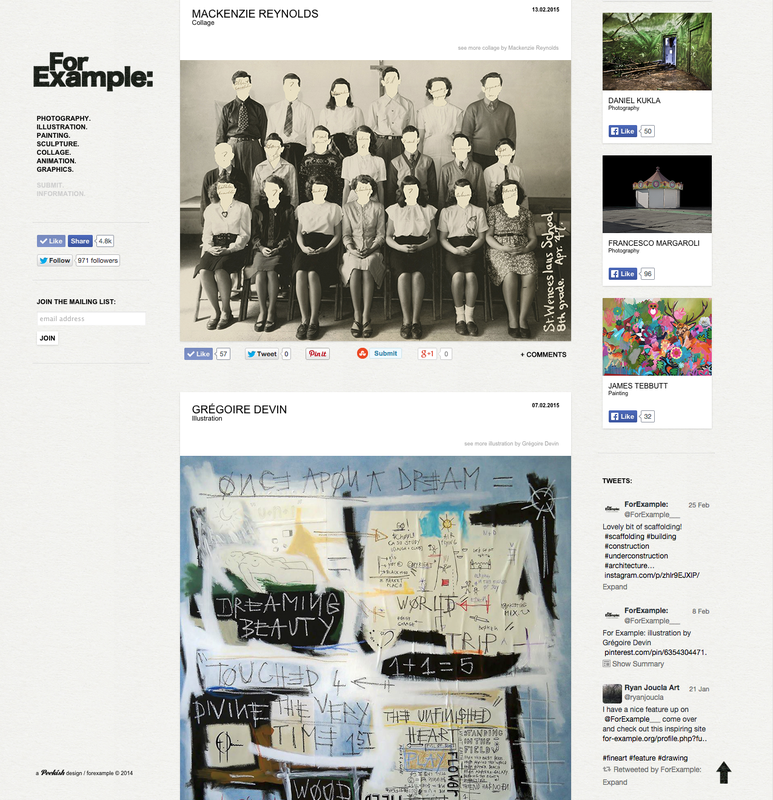 Featured on a London based website For_Example.org. Showing at the Madison Senior Center. Featured in The Cap Times "Off the Wall" Article. I had the privilege working with Professor Tom Jones during my 3 years of graduate school at the University of Madison_Wisconsin. 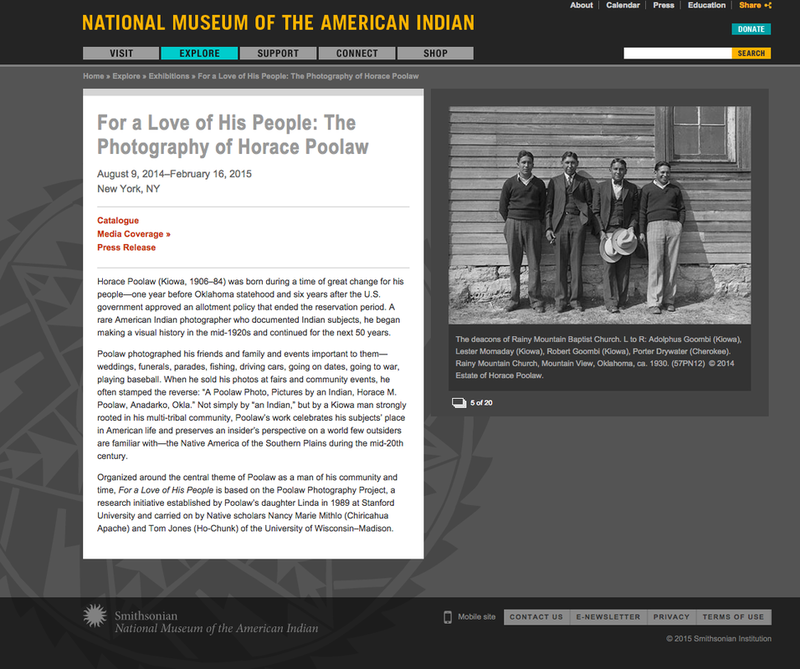 During my time there I helped work on For a Love of His People: The Photography of Horace Poolaw which was on display at the Smithsonian National Museum of American Indian Art. The Show Opened in August of 2014 and will run until February of 2015. 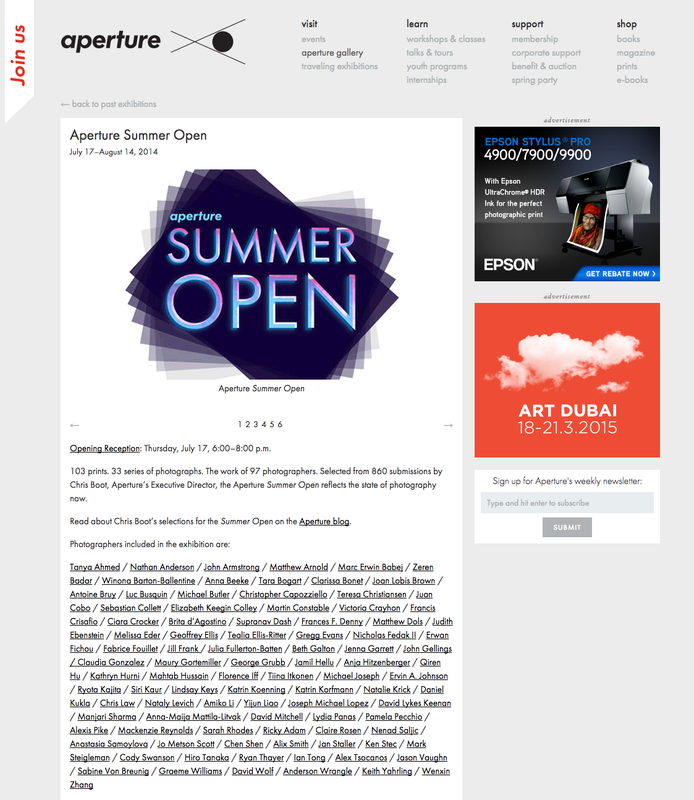 I was chosen to be one of the 97 photographers to be featured in Apertures Summer Open. This curated show was created to show what what is happening in Contemporary Photographic Arts. Showing work from my "For What It's Worth Series" I was honored to be selected.